Jivi Mobiles that has lately emerged as a dominant player in the feature phone segment has managed to reach 2 lakh units of sale per month. The brand announced a price cut for its products following which it witnessed a phenomenal response from buyers. Eventually, Jivi Mobiles came up with multimedia phones that are priced as low as Rs 699 in order to boost its sales volume further. 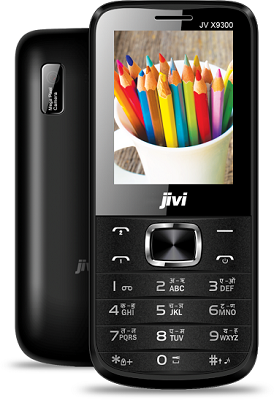 One of the best selling Jivi features phones include JV X9300 that has bagged the Mobility Excellence Award for being the best feature phone. It is one among the slimmest handsets despite being powered by a powerful 3000 mAh battery. Also, the device is carries an affordable pricing of Rs 1,199. The 3.5 inch touch screen feature phones are available for Rs 1,799. When it comes to CDMA models, there is one that is priced at Rs 999 and another that is a CDMA+GSM phone costing Rs 1,899.